The Peace City Vision - happy, healthy, prosperous lives! 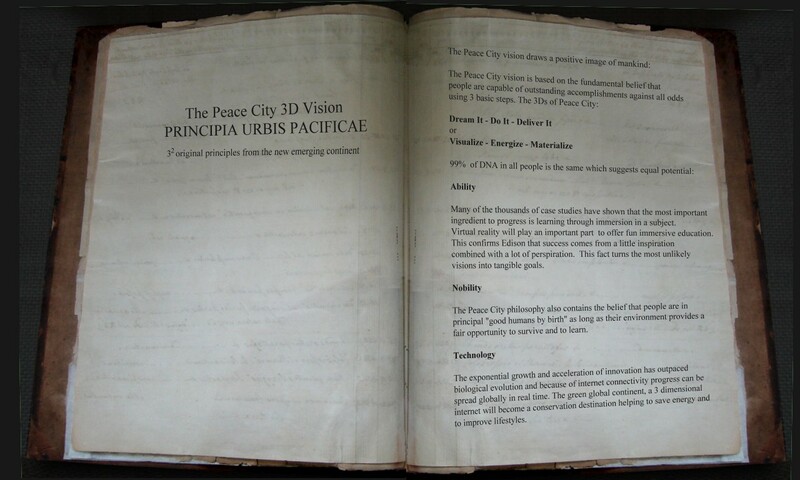 The Peace City vision as expressed by the city's founder in the "3D BOOK ONE" (excerpts can be found at www.principiaurbispacificae.com ) has evolved over the past 10 years. The vision goes far beyond talk and philosophy to also include practical global tools such as the Green Global Office to produce tangible results and progress toward the vision.